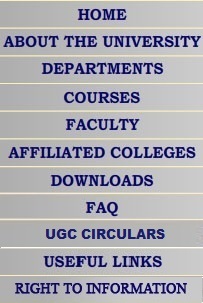 Gujarat University, Navrangura, Ahmedabad � 380009. The Gujarat University has completed 57 years in providing higher education. This was established in the year 1949. During journey of 57 years this university has started various courses in Science, Social Science, Management, Medical branches. Along with these courses Master of Physical Education course was started in the year 1986. 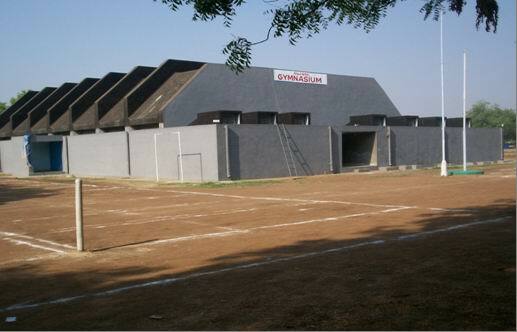 This is first center for master degree course in physical education in Gujarat State. U.G.C. had made mandatory for all college physical education teacher to have master degree in physical education and to meet this requirement our university had taken initiative to launch this course. In the initial stage of this course the experts from across the country were invited and requested to frame the syllabus of this course. Teacher those who were working with different colleges for them special summer courses & training programme were organized during vacations to upgrade their knowledge in the area of physical education. The past students of this course are serving in the various universities, colleges, schools and recognized institutions across the country. This department is always in search of opportunity to organize seminars in the concerned areas of physical education. On availability of opportunities it is a practice to organize such seminars with the association of Academic Staff College refresher courses in physical education are also organized. The present regular master degree course in Physical Education is being provided this two years (Faculty of Arts) course is divided into two parts. M.P.E. Part � I & M.P.E. Part � II. In each year four theoretical papers are being taught. Along with this in the first year of course students are being taught practical skill proficiency in Athletics sports (One from each) and officiating in major games one from each sports. In the second year of course practical two lessons of advance coaching. One in major game and other in Athletics are also being taught. � Volleyball Court 2 Nos. � Opportunities of Organizing & Officiating in Schools, Colleges, University, Inter-University and National Championship. � Hostel Accommodation, Hospital & Medical facilities, Library and various type of Laboratory facilities in one campus. 4. Eligibility :- B.P.E. or B. P. Ed. or D. P. Ed. Theory Paper :- Name of Subject. 1. Philosophical Foundation of Phy.Edu. 2. Research methods in Health, Phy.Edu. and recreation. 1. Scientific Principal of Sports Training. 2. Test measurement & Evaluation in Physical Education. 11. Placement facility/Future Opportunity :- All most 100% Placements in Schools, Colleges,University & recognized institution across the country.